Opera mini is a very basic android browser. It uses a compression technology that compresses the web pages to static pages which reduces the page loading size. Opera mini uses its servers for web site compression. Due to this compression technology Opera mini makes very low usage of network data. 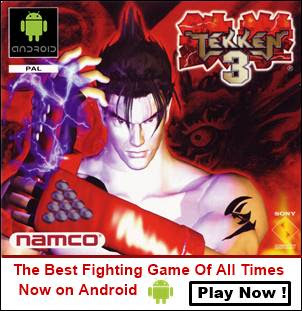 Opera mini doesn’t support addons and doesn’t have support for flash player. It can only do simple tasks like browsing websites, uploading, downloading and saving web pages in .obml format. Most people ask me about converting saved pages of opera mini into pdf files so that the web page can be downloaded as pdf file. Well there is no such option in Opera mini to convert web pages in pdf. But there is a trick that can convert saved pages of Opera mini into pdf files. Download and install UC browser 9.5 from this link. 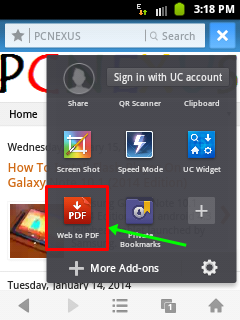 Download and install Web to pdf UC addon from this link. Open Opera mini browser. Click the ‘Red O’ icon and select ‘Saved pages’. I am assuming that you have already saved pages on Opera mini. 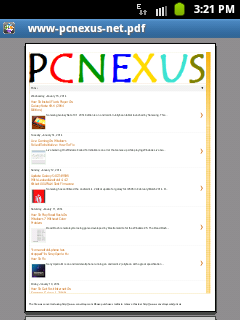 You will see a list of saved pages. Click any page to open. Now when the page opens its web site link will be visible in address bar of Opera mini. Click the address bar once to expand it. Long press on the web address. 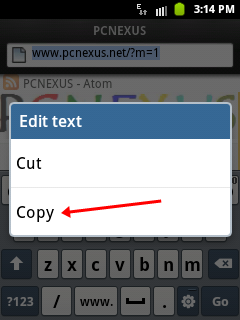 Then select ‘Copy’. Now at this point you can close the browser. 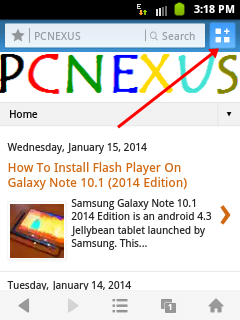 Now open UC browser and tap on the address bar to expand it. 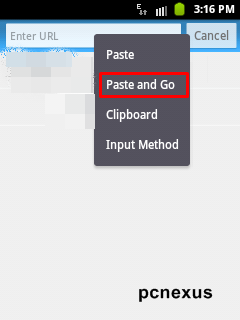 Long press on address bar and choose ‘Paste and Go’. Let the browser load the web page completely. Now click the blue icon having 3 squares and a + sign in it in UC browser. A list of addons will open. Click ‘Web to PDF’. A popup will open. Tap the download button to save the web page as pdf file. Also tap the file name to rename it, if you want. The downloaded file can be found in this directory ‘sdcard/UCDownloads’. Now you can open this pdf file in the office app of your android phone. Now you can save opera mini page as pdf.